Finding a legitimate credit repair company can be a particularly arduous task. It can be difficult determining which companies you can trust, and which ones are merely scams interested in swindling misinformed persons. Fortunately, there are legitimate credit repair companies that exist, and several of them conduct business in the Phoenix area. Go Clean Credit has helped thousands of people restore their credit since 2003. Go Clean Credit works directly with individuals to ensure their credit is repaired in the most efficient way possible. Furthermore, their sole mission is your success. They understand it is extremely difficult to trust a credit repair company. Fortunately, Go Clean Credit has credit repair experts that will sit down with you and go over your credit issues step-by-step. That’s how they have earned a perfect 5/5 business rating on Facebook and 4.7 out of 5 stars on Google reviews. At Credit World Financial Services, credit experts are committed to challenging negative information on your credit report. Credit World Financial Services has offered credit repair services for over 12 years. They understand that every profile has its own specific needs, and are willing to tailor a plan of action to best suit your case. On average, Credit Absolute improves credit scores typically 30 to 100 points in one to three months. Their team looks into each personalized case to help you get back on track with your finances. In addition, Credit Absolute provides a complimentary credit audit to review your various options and explain how credit repair works. The Truly Fair Credit program relies on three key ideas: proven results, accountability, and service. Based on their multiple-year statistical average, Truly Fair Credit deletes 47.07% of their clients’ bad credit within the first 30 days. Truly Fair Credit also offers a warranty to guarantee customer satisfaction. Truly Fair Credit will pursue every negative creditor and credit bureau to ensure your credit repair. If you are concerned about your financial situation, AZ Credit Medix provides sliding scale pricing and flexible payment terms. AZ Credit Medix aspires to help you solve your problems as soon as possible. Additionally, they specialize in fields such as credit restoration, student loan consolidation, credit coaching, debt counseling, debt verification, secured credit cards, and small business benefits. To learn more about legitimate credit repair companies in Phoenix, Arizona, reach out to Go Clean Credit. We can answer any questions you may have about the credit repair process, and help you repair your poor credit. Do you want to raise your credit score? Do you not know where to turn? 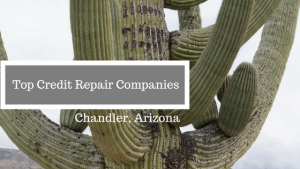 We have compiled a list of the top credit repair companies in Chandler, Arizona, to make the process easier! Since 2003, Go Clean Credit has helped people around the valley repair their credit. Repairing your credit can be difficult on your own. Thankfully, Go Clean Credit is a reliable and trusted source ready to repair your credit. Go Clean Credit utilizes a client-centered approach that keeps you at the focus. Go Clean Credit is also financially-friendly, meaning you don’t have to spend big bucks to repair your credit. For these reasons and more, Go Clean Credit is the top credit repair company in Chandler. If you are looking for a financially-friendly option, Credit Absolute allows a pay per performance option. This plan allows you to remove bad credit little by little with your financial situation in mind. Many of their clients have increased their score by over 80 points. With an increased score, you can also have better access to refinancing mortgages and decreasing car monthly payments. Unlike many companies, The Credit Repair Agents offer a free credit report analysis. Additionally, they examine your credit reports from Experian, Equifax, and TransUnion. On their website, they detail a step-by-step process to keep you up-to-date. They challenge your credit directly with the credit bureaus. Arizona Financial Plan thinks in the long-term. They see every person as a partnership, and value clear communication and comprehensive financial planning. They work mainly as a financial advisor, but also look to see how they can repair your credit. Their individualized attention ensures you understand everything they are doing with your finances. Arizona Financial Plan’s thoroughness is what makes them one of the top credit repair companies in Chandler. Finding a credit repair company can be difficult, but Ovation Credit Services, Inc. prides itself on making the process efficient. Their credit expertise goes hand-in-hand with their guaranteed customer satisfaction, making them one of the top credit companies in Chandler. They also feature customizable programs, and offer a free credit consultation. To learn more about the top credit repair companies in Chandler, Arizona, contact Go Clean Credit! We can help you achieve your financial goals. Call Go Clean Credit now to schedule a free consultation! Are you trying to raise your credit score, but feel lost? Are you struggling to find the right people to do the job? 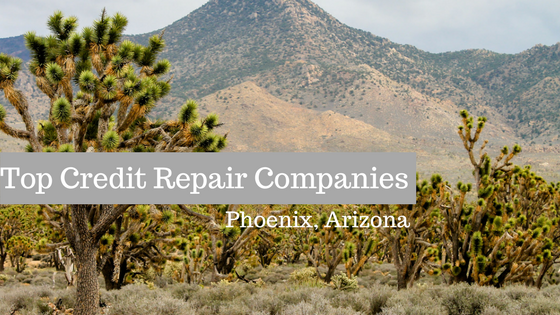 Luckily, we have compiled a list of the top credit repair companies in Phoenix, Arizona, to help guide you. Go Clean Credit has offered personalized credit correction services as one of the top credit repair companies in Phoenix. Restoring your credit can be an intimidating task. Thankfully, Go Clean Credit takes a hands-on approach to meet your needs. Go Clean Credit is a trusted and reliable source, ready to help you deal with all of your credit-related issues. Additionally, Go Clean Credit utilizes a client-centered approach that pairs credit restoration with credit education to keep you on the correct path. Go Clean Credit is one of the top credit repair companies in Phoenix for good reason! At Credit World Financial Services, they understand that every profile is unique and every person has a different story. They have offered credit services for 12 years. Additionally, they are committed to challenging negative information on your credit report. They also work to resolve any debt, re-establish credit, address student loans, and more. For these reasons and many more, this is why Credit World Financial Services is one of the top credit repair companies in Phoenix. Lexington Law prides itself on making the credit repair process easy and effective for their respective clients. Most clients have seen an average of 10.2 items removed within 4 months. Lexington Law has been around for 26 years, and helps clients gain reports from three major credit bureaus. Legal workers will direct your issues to the appropriate creditors and credit bureaus. 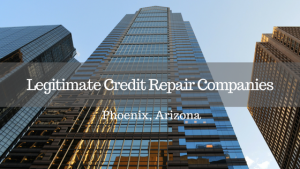 If you want a credit repairer whose faiths align with yours, Phoenix Credit Repair & Debt Consolidation Services is a company that puts their morals at the forefront of the credit repair process. In addition, they offer free consultations, and paired with their video tutorials, it makes the process simple. There are also various packages that allow you to choose the best price that suits your needs. Although Phoenix Credit Repair & Debt Consolidation Services may not be the most typical of credit repair companies in Phoenix, they get the job done. To learn more about the top credit repair companies in Phoenix, Arizona, contact Go Clean Credit! We can help you achieve your financial goals. What are you waiting for? Call Go Clean Credit now to schedule a free consultation!